Currently lying dormant, this massive, ancient volcano was the country’s most active volcano for over 40 years. 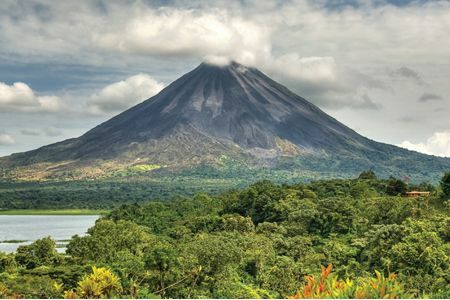 Looming over the landscape, Arenal dominates the horizon in the rainforest. 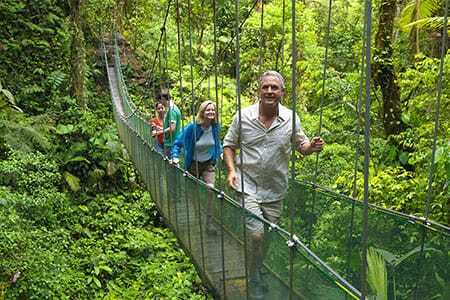 Around the volcano you can visit the wildlife refuge, take a sky drive/journey, raft the river, or repel a waterfall.